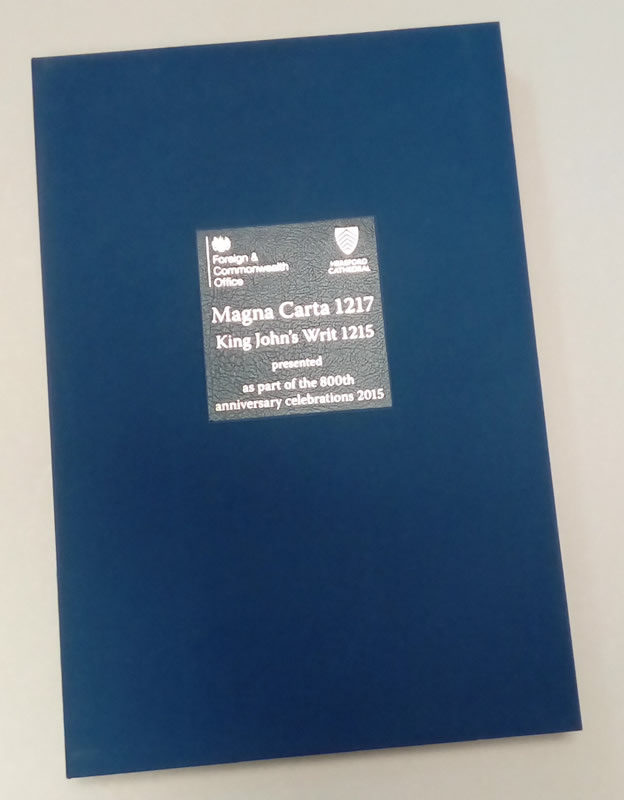 We were comissioned to produce the facsimile of the Magna Carta belonging to Hereford Cathedral and a box in which it could be presented to its recipients in China. 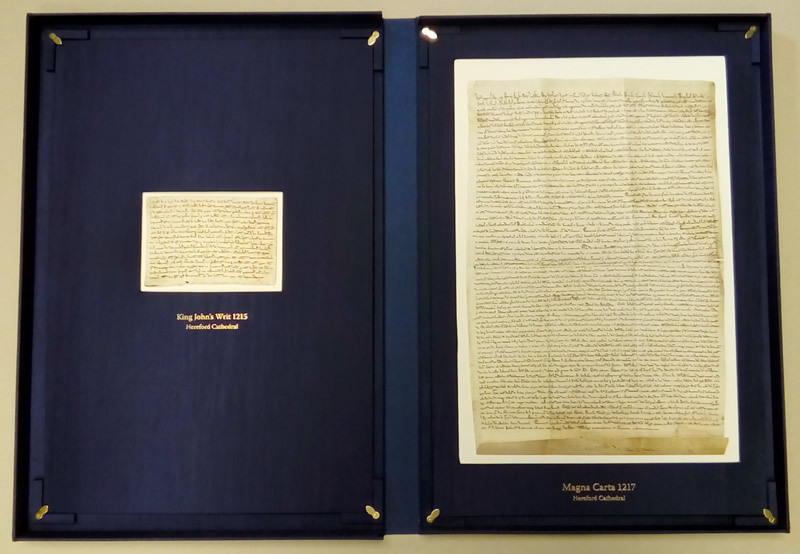 The customer required that the mounted facisimile could be taken out of he box and that King John's writ be inset opposite. We comissioned our friend Senecio to print the facsimiles and between us we shaped and folded it to replicate the original. We made the box from Xian cloth. A complex but absorbing project.